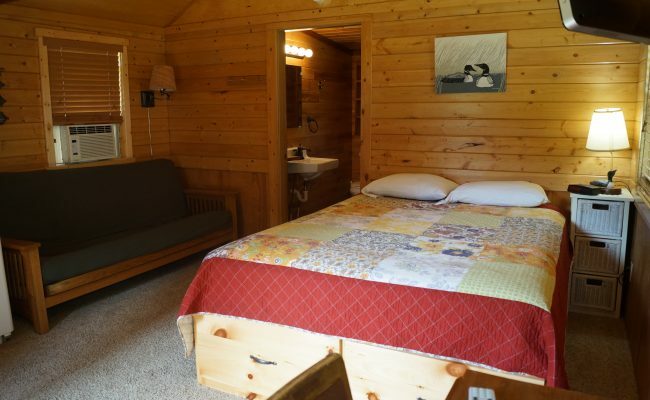 Lovely studio cabin on the lake with a Queen sized bed and fold out futon. 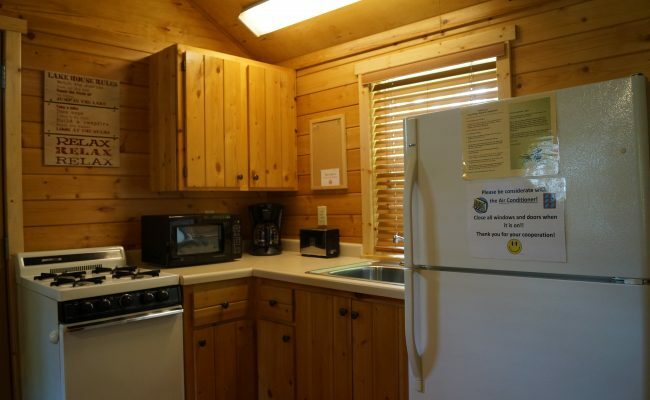 Full Kitchen with dishes, pots, pans, microwave, coffee maker, toaster & more. 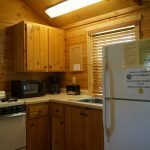 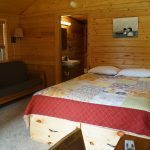 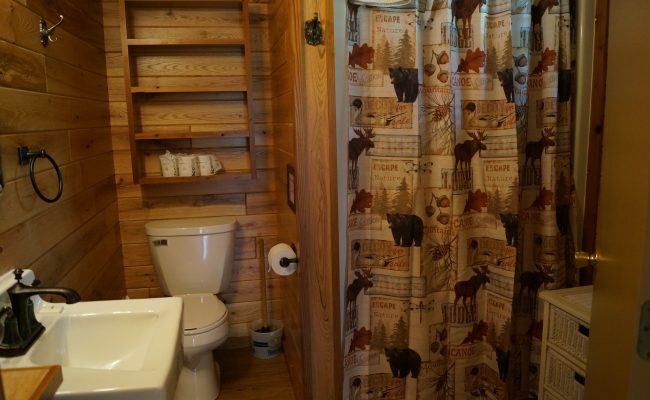 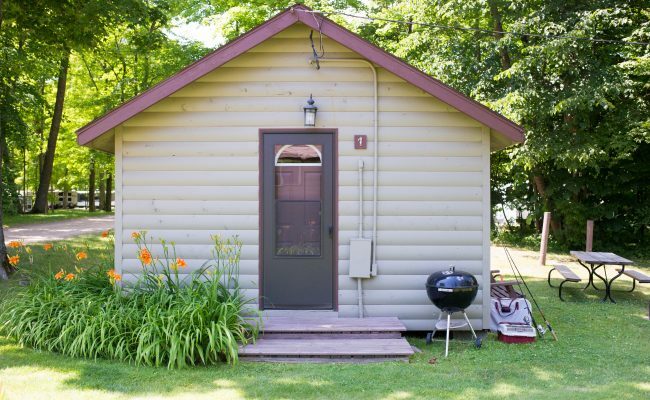 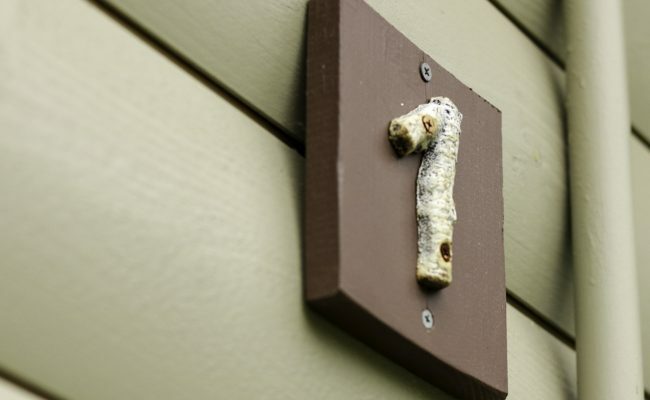 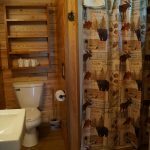 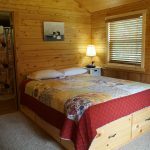 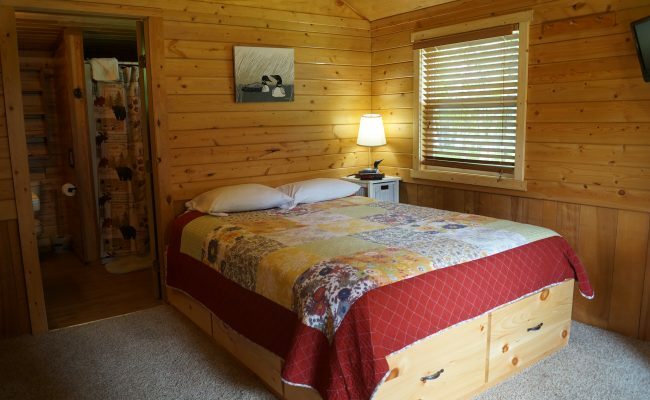 Compact and rustic with everything you need for your north woods stay.